People are talking – Do not just take our word for it…. Well just to say Jill and Shirley are the best , I cannot praise them enough. I rented my apartment out with them and also sold my apartment through them and they made it all stress free and looked after everything for me. They are also so friendly I always think of them as friends and not just business associates, you cannot go wrong with them, I will recommend them to everyone I know that has dealings with property in Spain. Over our 8-year’s experience with the team at Blackhorse Property (BHP) both myself and my husband have found Jill Simpson and Shirley Young to be both professional and helpful at all times. They completely understand our needs and requirements and those of our guests 100% even going beyond what we would expect from a property management agency. Prior to dealing with BHP we had had some negative experiences on the coast with other management agencies. Following some research on our part and through word of mouth BHP came highly recommended to us in 2010. We are delighted that we took the advice given and moved our business to BHP. We have found the team to be honest, hard-working and reliable and always solution focussed should any unforeseen problems arise. I am more than happy to recommend BHP to anyone looking for property management on the Costa del Sol & wish BHP continued success in the future. Shirley and Jill from BHP have looked after us for almost 10 years now and we have found them to be utterly reliable, fair and full of integrity. They deal with any issue or even a mini crisis with common sense and good humour; if something need to be done or fixed they sort it without fuss and always at very reasonable cost; what more can you ask for? Mary and John, San Pedro. My wife and I have used Blackhorse to manage our holiday apartment for the last 13 years. During that time they have without exception been truly excellent . Both Shirley and Jill are the upmost professionals who take a great personal pride in their work . They have an unrivalled team of tradesmen and contacts in all fields to make the experience of owning a foreign home as easy as possible.Nothing is too much trouble. Their cleaners are punctual ,efficient, fastidiously clean and importantly trustworthy. Our dealings with them have ever only been a positive experience and I have never heard a word to the contrary . In short we would unreservedly recommend Blackhorse to any new owners or anybody thinking of switching management company. A truly excellent company. We have used the services of BHP for the best part of ten years , or more. It pleases us to report that we have been very pleased with their services , and consider ourselves fortunate to have sourced them. It is a huge relief for us, residents of Ireland, to rest assured that our apartment in San Pedro, is under their general supervision for all our needs . No request from us, no matter how trivial , has usually been acted upon promptly. They keep themselves updated with local knowledge, and grasp any bussiness opportunity. We hope they will continue to provide a professional service, and wish them all the success in the future. 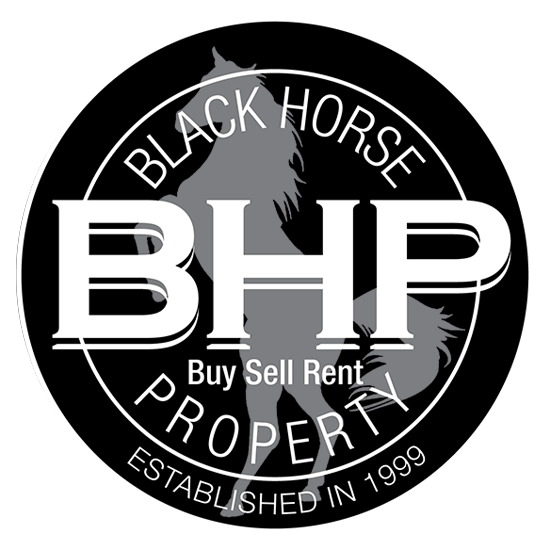 We have been using the management services of Blackhorse Properties (BHP) for years and find that the professional manner in which it is run by Jill and Shirley gives us great peace of mind. Their regular checking of our property for important post or leaks etc. along with the large number of tradesmen they have at their beck and call means that any problem is given immediate attention. They also advised us on getting insurance which was very helpful. They are essential to our wellbeing whether we are here or away. We booked with BHP (Blackhorse Property) and they were very friendly and helpful. We got very good information about the apartment and the location in Las Aldelfas, a lovely complex. Booking information to fill in was easy and informative. The apartment was fantastic, very well equipped and lovely location. Transportation from and to the airport was excellent also booked by BHP. Walking distance to San Pedro town and the fantastic promenade and beach side. We will come back to you for more bookings. I will tell my Norwegian friends about your company. Jill & Shirley have been helping us in Property Management since 2011 and it has been a really safe and reliable relationship. They are always accessible. With their local knowledge they solve every problem that has appeared. We highly recommend their company. Just a quick note to thank you both for the help you have given us looking our apartment in San Pedro. It’s been many years now since you became the key holders and your help in cleaning and looking after the apartment has been invaluable. Once again ‘Thank you both’ and Kamal and look forward to catching up, when we come over in July. My wife and I have had a holiday home in San Pedro for 16 years and, during that time we have used the services of Blackhorse Property Management. By it’s nature, our use of the property would have been quite infrequent so during the times of non use we relied heavily on the services of BPM to carry out regular inspections. Our use of the property has increased dramatically in recent years and the months of summer and school holidays are taken up by our children and grandchildren. This is where the other services come in to play. Blackhorse will take over when the apartment is vacated and carry out cleaning and remove bed linens and towels for laundering. We have always been impressed by the high standards of these services as have the arriving visitors. There is much more to Blackhorse than the services that we use. In my circle of acquaintances I have heard glowing reports about Blackhorse’s services in the areas of property sales and letting. I would give Blackhorse my highest satisfaction rating and I would have no hesitation in recommending them as suppliers of all of the above mentioned services.